Most commonly, a person entering a tenure-track academic career at Cornell begins with a three-year appointment* at the assistant professor level. The faculty member should review his or her progress regularly with the department head or with a mentor among the department’s senior faculty members. In the third year, the department conducts a more thorough performance review. The strengths and weaknesses of the faculty member in research, teaching, and service are evaluated and the faculty arrives at a recommendation on reappointment. If the outcome of the third-year reappointment evaluation is positive, the department typically recommends the assistant professor for reappointment to a second three-year term*. The reappointment decision is made by the dean. If the outcome of the review is negative, the faculty member is given a terminal appointment of two full academic terms after written notice of nonrenewal. If the faculty member clearly is not meeting expectations, the notice not to renew the appointment may be given earlier than the third year. In that case, the next two terms of the initial appointment serve as the terminal appointment. 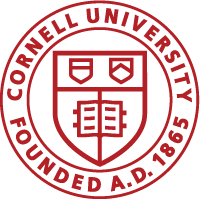 The procedures for appealing a decision not to reappoint a non-tenured faculty member who holds an initial probationary-tenure-status appointment are located on the University Faculty website at http://theuniversityfaculty.cornell.edu/files/2016/01/NOTTORENEWNONTENAPPT-259vxar.pdf. *Please note: The Johnson Graduate School of Management observes an eight year clock, so the initial appointment is typically four years and reappointment is for an additional four years. Highly qualified individuals who are already credited with significant achievements may be appointed at the rank of associate or even full professor. Such appointments may be made with tenure only upon successful completion of a standard tenure review. If such an appointment is made without tenure, the appointment is typically for a limited term of not more than five years and the appointment should specify an anticipated time frame for the tenure review.